Unpromising is an understatement. But I'm sure it will come alive!! I’m starting out on a multi week adventure today. My companion list is quite short and select: me, a jar, sugar and ginger. I’ve been sitting on this recipe for a while, sort of waiting for the local fruit to begin showing up on store shelves. Strawberries already have and I hear raspberries will be soon. Making your own soda sounds like a very unusual practice, akin to magic. What I’ve done so far is put some water, sugar and ginger in a jar. From there I am to add a little more sugar and ginger every day for 1 week. At the end of what I will call the “Starter” I will have a soda culture that I can then carry forward to flavour (some call this second stage the Wort, like when you make beer). From there you let it carbonate, and finally enjoy your labours. starter takes. And about 1 week to culture. Fill the mason jar 3/4 full with spring water. Add the ginger and sugar and shake well. 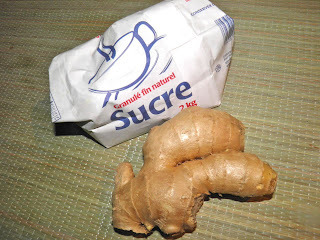 Every 24 hours add the additional ginger and sugar. Taste it too. It should be slightly sweet and slightly gingery. 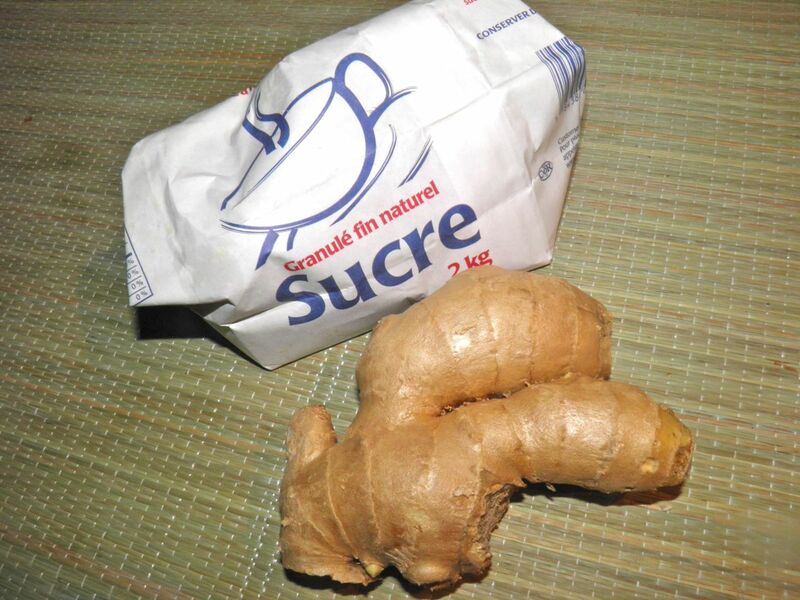 What is happening is the ginger and water are using the sugar and converting it to culture. The amounts are approximate for maintenance and can be adjusted. At the end of the week you will have soda culture which can be flavoured. It may take a shorter or longer time for this. The starter is ready when you can see bubbles at the edge of the liquid in the jar when it’s sitting on the counter. After flavouring, it ferments again to carbonate. So you’ll have to come back to find out how. From your starter you can make strawberry, blueberry, raspberry, ginger, etc sodas. * Don’t substitute honey. Honey has anti-bacterial properties that will inhibit the growth of the bacteria you need to lacto-ferment the liquid. It’s funny to think that soda actually started out as health tonic sold at soda fountains in pharmacies. Originally sodas were a way of extracting the vitamins and minerals stored in fruit, plant matter or roots. 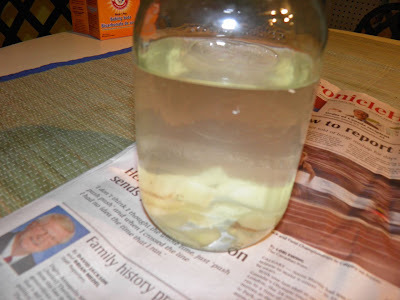 Lacto-fermentation adds an additional dimension to homemade soda because the process of fermenting adds healthy micro-organisms that help our bodies absorb nutrients from food. So right now I have a jar sitting on my counter looking very un-promising. I’m not worried though. I have done more than passing lacto-fermentation in the past and know what all those invisible organisms can do. I expect great things. I’ll keep you posted – literally! If you google lacto-fermented soda you get quite a few links with some very interesting information.